Click HERE for Video of the 2018 OBS Streak. ONLINE Registration for 2019 OBS Streak is not yet open. DISTANCES: 100K, 40 and 25 mile routes. Support ends at 1:00 PM. TOURS: This is not a race. No times will be kept or posted. MINIMUM AGE REQUIREMENT: No children under 12 allowed on open road courses. REST STOPS: Multiple rest stops will be located on the 100K, 40- and 25-mile routes, with a restroom at each stop. Drinks and snack foods will be available. Sag support will be provided on these routes. REGISTRATION: Register online or register in person at packet pickup on Saturday or at the event Sunday morning beginning at 6:00 AM. PACKET PICK UP: Event Packets may be picked up at the registration area on the day of the event between 6:00 AM and 7:15 AM. Early packet pick up will be at the MAC inside Mitch Park (west entrance) on Saturday, September 8 from 10 AM until 2:00 PM. 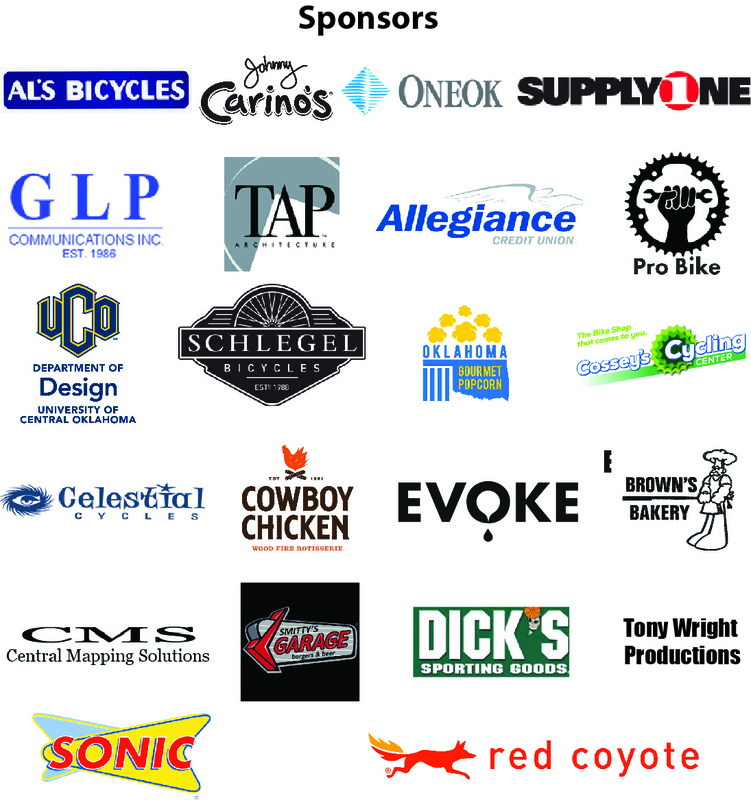 PRIZES: All 100K, 42-mile and 25-mile registered riders are eligible for our door prize raffle. Please check the prize board after the ride. Must be present to win--no prizes will be mailed. BENEFITING: Helmet$ for Kid$, provides helmets for children who received bikes for Christmas through the Salvation Army's Buck$ for Bike$ program. Registration will be available at the MAC inside Mitch Park on Saturday (Sep 8) and onsite on the day of the event.